A large part of our Annual Appeal success is due to the many volunteers who give their time to help out during our telethon. 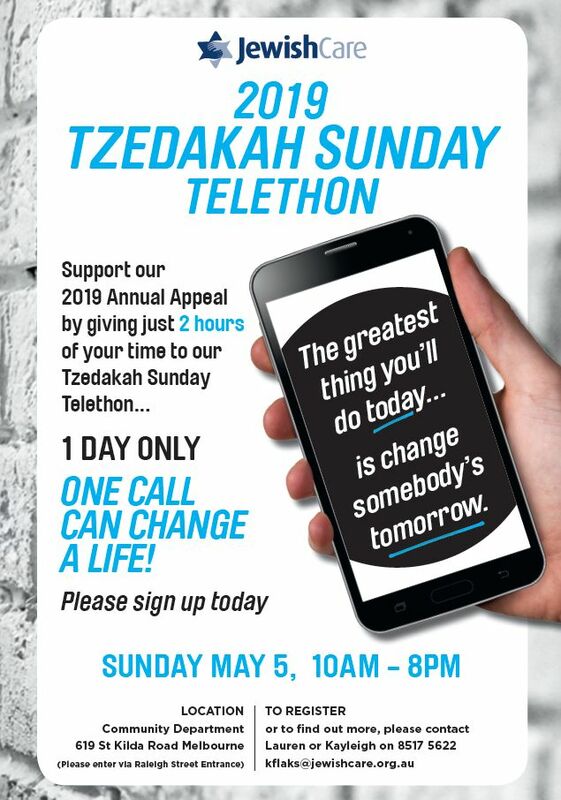 We've had an incredible amount of assistance from volunteers in the past and are hoping to see a similar turn out this year during our 1 DAY ONLY TZEDAKAH SUNDAY TELETHON. On Sunday May 5, our Community Department will be converted into a phone room between 10am - 8pm. The more volunteers we have calling our community, the greater the chance of achieving our goal of raising $3.5 million. Join in the fun and excitement while doing an important mitzvah! Remember, every dollar raised goes towards funding programs for our clients. We look forward to seeing you and appreciate your support.